Discussion in 'ESMB Rules, FAQ, and New Member Info' started by Emma, Feb 17, 2012. There has been a few questions recently regarding starting a new thread so I thought I'd post this instruction. When you first arrive on ESMB you are on the "front page". 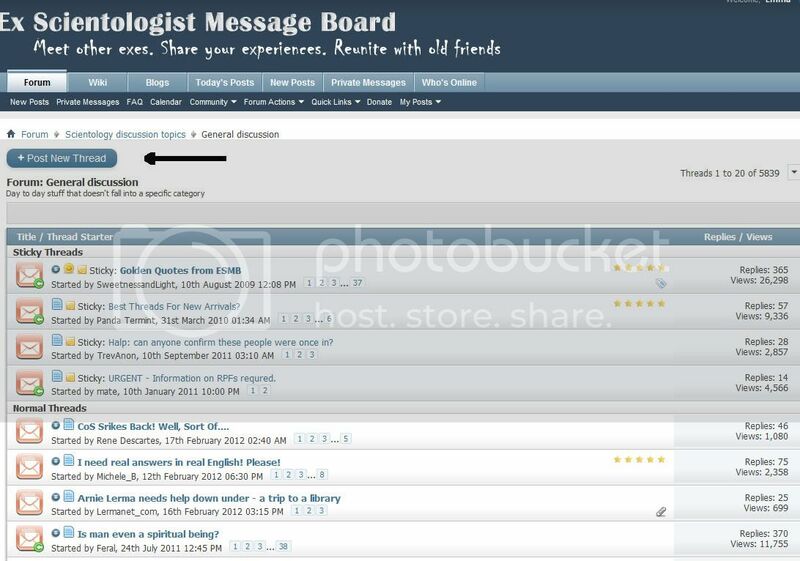 On this page it shows you what forums make up ESMB. The forums marked with a read cross are forums in which you can't start a new thread. You can reply to threads started in this section but you can't start one. This is where Admins & Mods can start threads regarding the board in general. 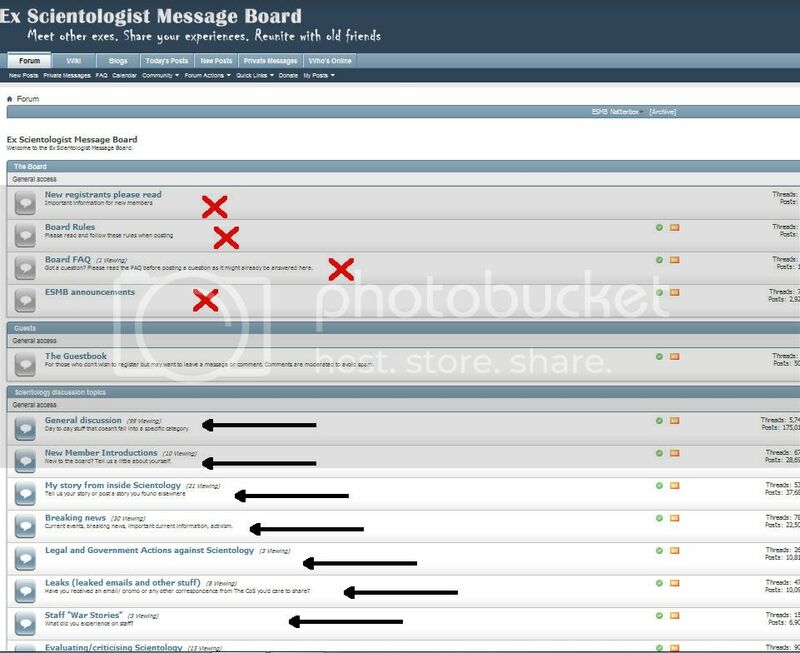 The forums marked with black arrows show the forums in which you can start new threads. Except for the forums marked with a red cross, you are free to start threads in most ESMB forums. I couldn't take a screen shot big enough to show this. If I could, most of the forums would have black arrows. It is designed this way in the hope that people will start new threads in the appropriate forum. It doesn't always work out this way but it does help. Notice the "POST NEW THREAD" button? That's what you click on to start a new thread in the forum you chose earlier. While we are on the subject, please take a little care to place your thread in the right forum. It saves a lot of work later when the mods have to "re-home" threads that are in the wrong area. Emma I joined only tonight; but the way you express yourself tells me I like you. Just the style etc. I was a manager of several forums before msn abolished them all, so I fully understand the thankless tasks, doing the chores, getting what felt like a punch in the face from disgruntled members when I made a ruling they didn't like, etc. Just saying, no hidden agenda. Keep on doing the thankless good work.